Click here if you're not interested in historic bits, just the pictures! 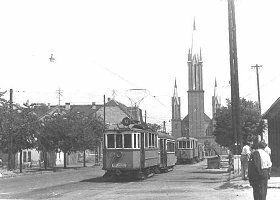 In 1887 a new star was born: in November, a narrow-gauge electric tram service was launched on the Grand Boulevard between the Nyugati railway station and Király utca. It was a pilot project designed and financed by Siemens et Halske, who have just invented the tram a few years ago. The trains used an under-surface current collector that was specifically designed for Budapest. The line was a big success so Siemens have founded a new public transport company called BVV, which begot BVVV a few years later when Siemens sold its interests. In 1889, the continent's first normal-gauge tram service was launched, and the old horse tram company BKVT soon begun to electrificate it's own routes to keep up. 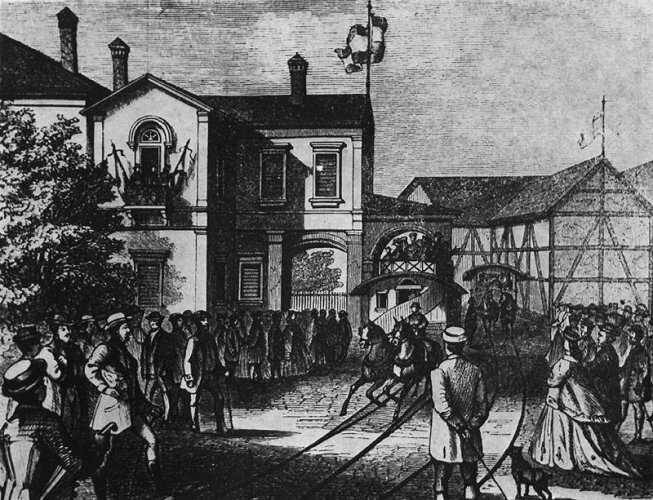 This decision marked the start of a race between BKVT and BVVV: the companies were soon struggling to top each other at all costs. 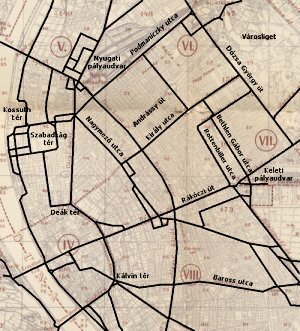 On the map to the right you can see all streets and places in the inner city of Budapest where trams ran between 1914 and 1981 - quite a dense network, I would say (of course not by US scale) - and most of this was built by these two companies until 1923, when they were united! After World War 1 things looked pretty bad: only a fragment of the public transport system was usable, and after two political revolutions, the shareholders of BKVT and BVVV refused to take their companies back. Thus a new company called BSZKRT (spell "bhaz-cart") was formed in 1923. In the first few years rolling stock, rail and eletric systems were unified and/or rebuilt, but right after that they also began to experiment. 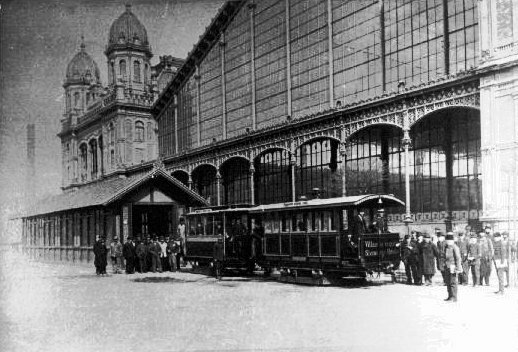 "Experimenting" meant evaluating new techniques (twin-set coupling, auxiliary-power multiple units, articulated cars) and restructuring the whole public transport system of Budapest. Beside other things this also meant that most of the tram routes in the narrow streets of the inner city were closed. After the second World War, things looked even more catastrophic: massive loss on human life and other resources, all bridges over the river Danube (which seperates the city in two halves: Buda and Pest) were destroyed, there was no eletricity, etc... yet the first tram route in Pest was re-started while there were still bitter fights going on on the other side of theDanube! In 1950 a new company was formed in full state ownership and control: FVV (for "Capital Tramway Company"). This company was only responsible for the trams and trolleybuses, but not for buses, suburban railways and ferryboats. 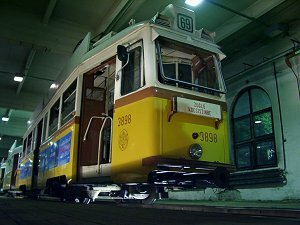 They did a good job: old vehicles (many of which were made well before World War I) were renovated, and new types were introduced (for example the "UV class", which is a kind of a symbol for Budapest trams). Much of what is still in use (including infrastructure and rolling stock) was bought or built in this era. Of course there were also unpleasant changes: the tram network was simplified - some of the "classic" routes have dissappeared. Click here if you're not interested in even more historic bits, just the pictures! At the end of the 19th century hungarian trams looked very much like all the trams around the world, but then a disctinct "hungarian" look started to appear, which was most dominant on the front of the cars. 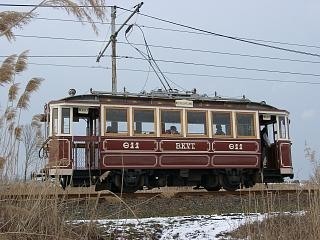 One of the most typical examples, a vintage BVVV streetcar can be seen to the left. This design features a front windshield divided into three parts with sharp corners and with the middle one beeing small and openable, narrow steps up to the open platform, where the tram driver stands, and sinkable side windows. The transport companies designed the cars, and then different companies manufactured them. The most important names of the heydays were Schlick-Nicholson and Ganz. Earlier the electric parts were bought from Siemens or General Electric Union and the transport companies installed them into the chassis' themselves, but then even that duty was taken over by Ganz. 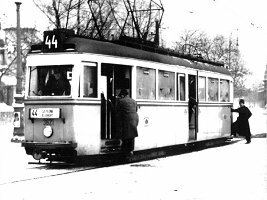 By the 30's the company has became the ultimate tram manufacturer in Hungary, and it kept that position until the late 70's. One of their most ambitious designs was the 3600-series (see picture to the right), also called "Stukas" after the german dive bomber aircraft (the sound of the vehicle was similar). This was a simple, but fast, comfortable and relatively low-floor streetcar, designed in 1939 midst pre-war conditions, when the governement has commited itself for supporting other transportation means than cars. 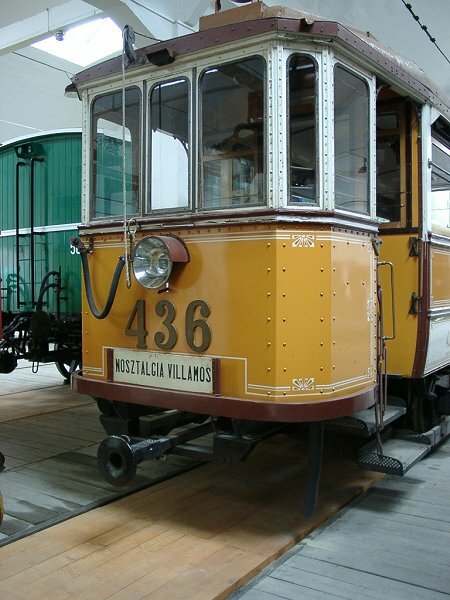 Later they expanded the idea of this streetcar to build long multiple sets: the new train set was introduced in 1948 but due to technical difficulties the idea of producing it in great quantities was dismissed. 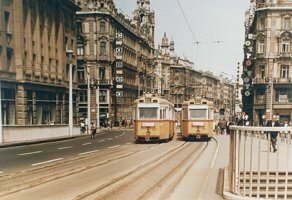 A few years later the need for new trams with a greater capacity was even greater, so Ganz designed the UV-class, which was the most dominant vehicle type in the Budapest tram system until the mid-90's. Optically these new cars were very much like the old Stukas, but the electrical system and the 2-axle boogies were totally different. 375 cars were built until 1965, when Ganz introduced its 8-axle articulated tram. Although this latter design was less reliable, they still play an important role in the city's life, especially on route 4 and 6 (Great Boulevard). Thirty cars from the series were modernised in the late 90's with Ansaldo choppers, but now there are plans to replace the italian control system with a hungarian design using a more modern IGBT techology. Between 1980 and 84 BKV bought 322 4-axle Tatra T5C5 cars. These were the first non-hungarian trams in Budapest in almost hundred years! They were purposed as a temporary replacement for ancient 2-axle cars (some of which was manufactured in 1896 - this gives you a hint how old they were), but the financial situation of the country was so bad at the time that the idea of purchasing more modern trams was dismissed - of course this led to the demise of some really interesting tram routes! 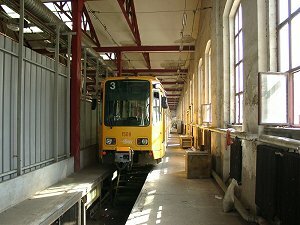 The next streetcar type to be bought by BKV was the DÜWAG TW6000 from Hannover, Germany. The purchase of these used trams (76 pieces) was almost hindered by political struggles in the city council, but they're now here and are having a great impact on the public transport system because they give a chance for the tram to survive in a quite anti-tram situation. As for vehicles of the other tram network systems of Hungary: between the seconn World War and the nineties they mostly used used vehicles (that were dumped in Budapest, like the "home-made" articulated car, which can still be seen in these cities), but now they're on their own: Miskolc has bought used 8-axle Tatra KT8D5's from Slovakia and 6-axle E1's from Vienna, while Szeged purchased brand new 4-axle T6A2's. Debrecen chose a hungarian design and bought ten new 6-axle Ganz trams. All these new or almost new acquisitions are still not enough: the cities are looking for a replacement for the old "home-made" articulated. There were even rumours of Debrecen buying a few TW6000's from Hannover but this was never confirmed. Click here if you're not interested in anything but the pictures! I don't work for transport companies, nor do I have the qualifications to pretend I know as much about these things as a transportation engineer. Trams are just one of my hobbies - I take photos of them and read much about them, but I'm not a professional. Please tell me when you know something in a different way! As for my photos: what started out as "by-product" has became one of my main hobbies. Originally I only wanted to make a webpage about my childhood transportation memories, with a few old pictures borrowed from fellow tram maniacs. Then I thought about taking a couple of photos of what was then to be seen on the Budapest rails. The next thing I remember was that I was spending a considerable part of my salary on the developing of film negatives. Then I bought a digital camera and things became easier. My photos appeared in magazines, such as LRTA's Tramways&Urban Transit (where a three-page essay about the past and future of Budapest trams, written by me, was also published), VDVA's Blickpunkt Strassenbahn (among others cover photo of 2/2004), the hungarian magazine Indóház, the austrian periodical tramway&modell and Transit Australia. 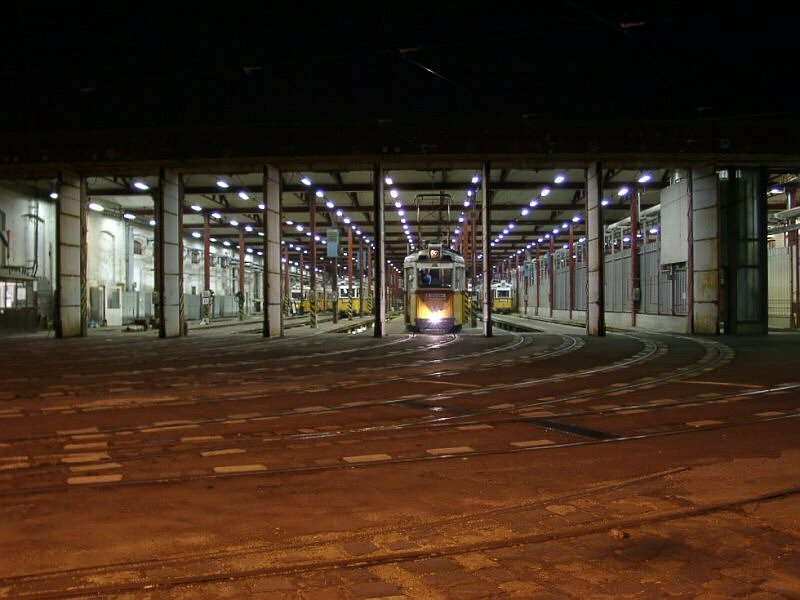 Also, one of my favorite "hobby in a hobby"-type shots, namely a night shot was selected as the European Railway Picture Gallery's picture of the Month in March, 2004. I'm glad that so many people like my photos - it's a nice thing! This website is made in my free time - I do it for fun. I would probably update it more often if I had more time, but I have to earn my living, too :) If you liked my pages and you feel like it, I would be most honoured if you bought me something off my amazon.co.uk Wish List! Or if you live in the US, from my amazon.com Wish List! 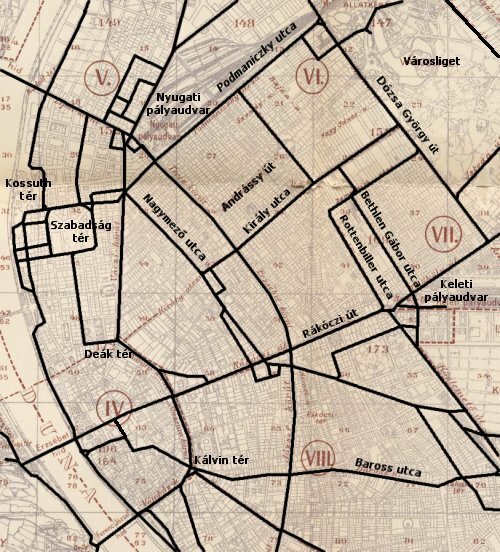 One of my most ambitious projects is a series about the "lost" tram routes of Budapest. It started out as a free-time occupation but turned into a kind of historic dissertation. Originally I just looked up a few old photos and took photographs of the same place in the present, but then then the material (facts, dates and figures) got bigger and bigger. Unfortunately you won't find this material here because of one simple reason: it's in hungarian and it would take too much time to translate it to english. So, what will you find here, then? Pictures. Pictures of the past and pictures of the present. Still-lifes taken in tramsheds (we call them remises), and scenes of current events. Detail photographs of the vehicles, and pictures of unusual situations. I hope that you'll have a great time browsing my pages! Bah, take me to the picture pages! I'm always on the lookout for tram pictures of Budapest. If you happen to have some and you're into sharing, please e-mail me! 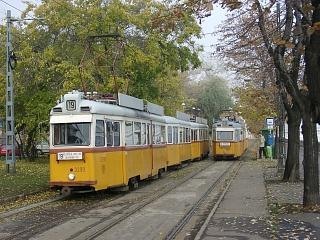 I know there are tram fans out there who have been to Budapest earlier and took pictures. 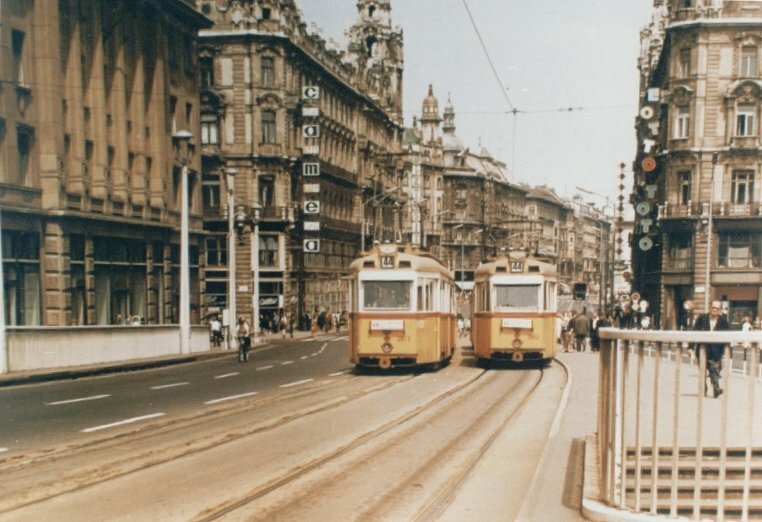 These pictures are valuable for me (not in the financial way - unfortunately I don't have the money to pay for old pictures) because they show our trams in a different way than we - hungarian tram maniacs - see them, and because they are usually of better quality than those taken by hungarian enthusiasts. This has got a simple explanation: before 1990 Hungary was locked behind the "Iron Curtain", so the film material (slide or negative) and the photo labs available to the average tram-maniac were not really up to high standards. Of course there are exceptions, but the average photographer was unable to acquire the same equipment as any "western" tram fan was able to! It's always a feast for me to look at some old pictures taken by people coming from the other side of the "Iron Curtain"! 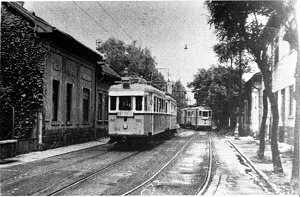 Please, share your old Budapest tram pictures with me! Thanks in advance! The unofficial guide to Budapest trams! Flood of the Danube I-II. Anniversary of a true classic - the UV is 50 years old! 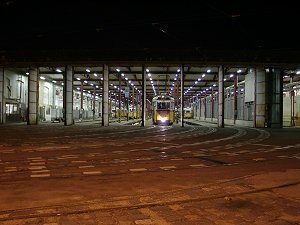 Midnight run - on more than 2 kilometers of Combino trams! 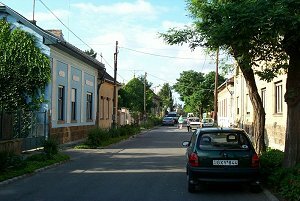 Good-bye to UVs on route 47 - and in the whole of Budapest! "New" Tatras and heritage streetcars in Szeged I-II. Autumn visit to Szeged I-II. "Open gates day" in Szeged I-II. Aesthetic anatomy of the UV streetcar I. Aesthetic anatomy of the UV streetcar II. An introduction to the "Kisföldalatti"
Route 64, supplemented by trolley bus since 3.1.1980. Trams of Prague, the Czech Republic I-III. Trams of Blackpool, England I-II. Trams of Cologne, Germany I-III. Vienna trams in the rain I-III. A visit to the central tram/subway/bus workshop of Wiener Linien, Vienna I-II. Linz, Gmunden, Innsbruck - trams, trains and cable cars I-IV. 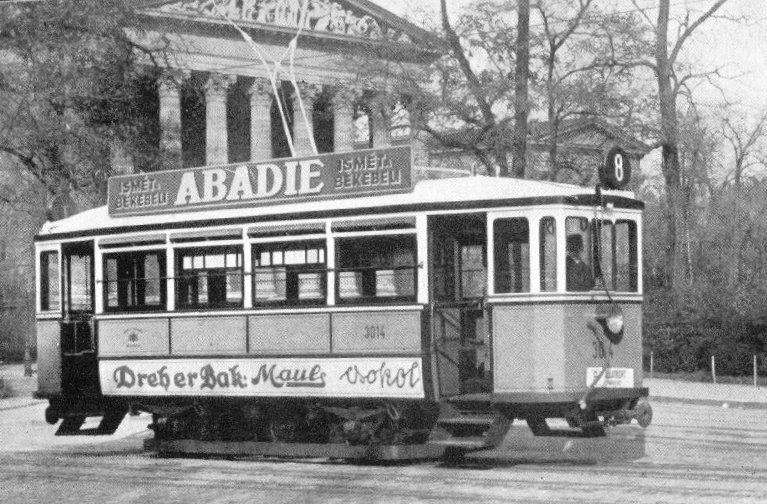 Tour de Trams: Stuttgart I-II. 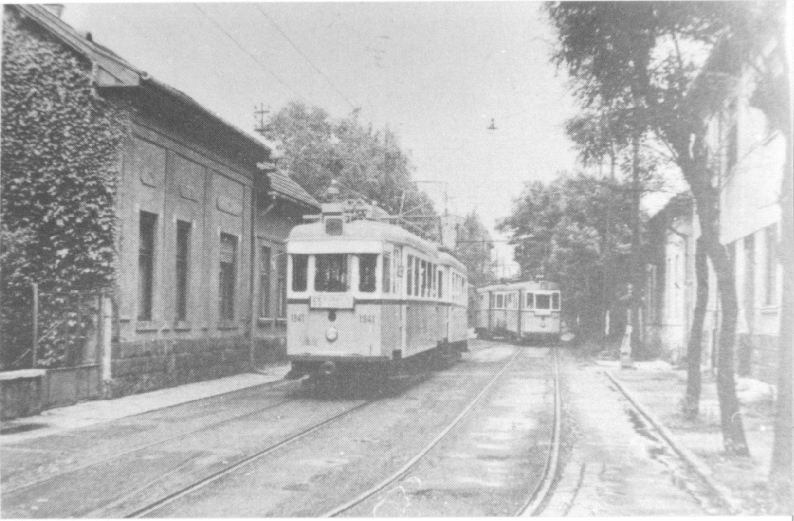 Tour de Trams: Mannheim, Ludwigshafen I-II. 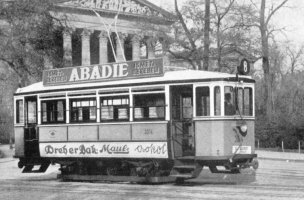 Tour de Trams: Essen, Oberhausen, Mülheim I-II. 100 years of Wiener Linien - tram parade in Vienna I-II. Trams of Amsterdam, The Netherlands I-III. Trams of Basel, Switzerland I-II. Trams of Zürich, Switzerland I-II. 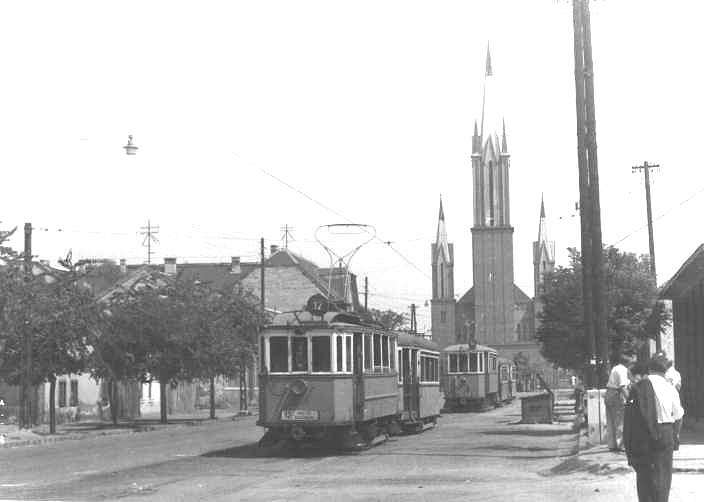 Trams of Transylvania: Arad, Cluj-Napoca, Oradea I-II. Potsdam: 125 years of trams I-II. Berlin: a tale of two cities I-II. Tour de Trams light: Trams of Bremen I-II. 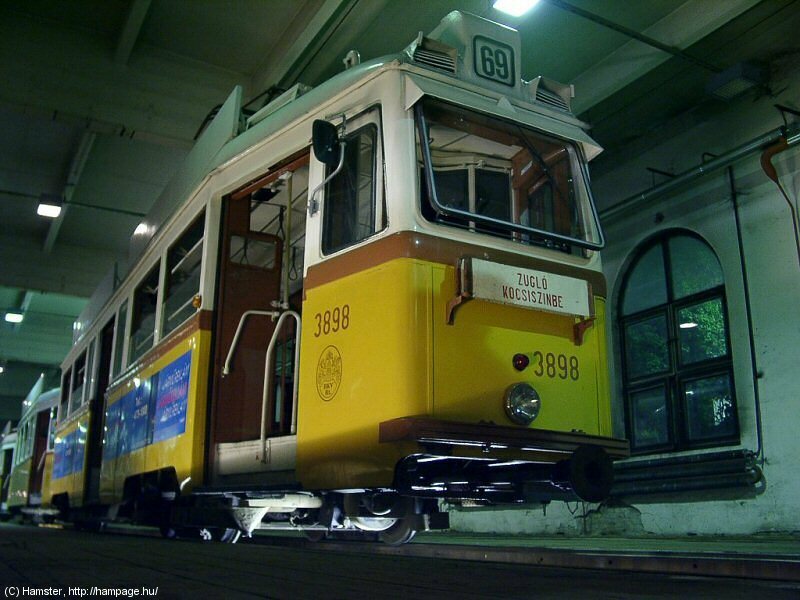 Tour de Trams light: the Hannover Tram Museum in Wehmingen I-III. 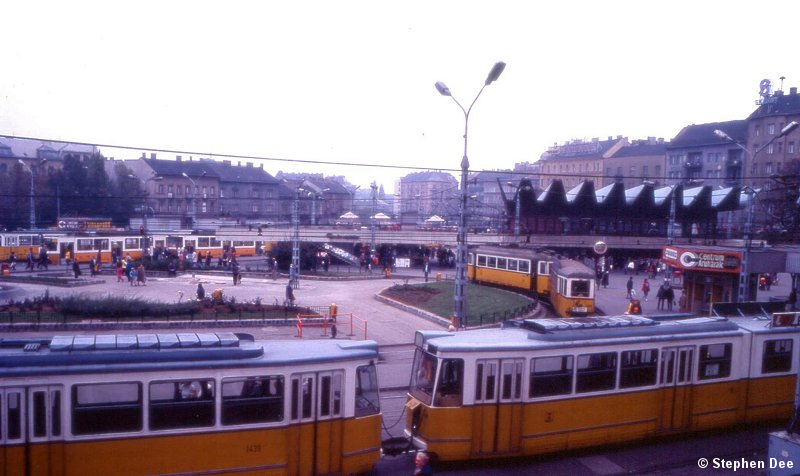 Trams of Zagreb, Croatia I-III. Brno trams in the morning, in the afternoon, and in the night I-II. Upper-Silesian trams in September 2008, I-V.
Second, some of the pictures shown here are not mine. They are displayed upon kind permission of their photographer, owner, copyright holder or representative. However, you might find some photos of unknown origin and/or unauthorized usage - if you see something like this or suspect any kind of copyright violation, please notify me! I would also like to express my thankfulness to the following people: Tim Boric, Stephen Dee, Leroy W. Demery Jr., Balázs Dénes, Heinz Heider, Jakob Kindby Holm, Matyi Kónya, Nagy Zsolt Levente, Németh Zoltán Ádám ("NZA"), Németh Zoltán Gábor ("division by zero"), Lars F. Richter, Michael Russell, Harald Schachenhofer, Sujbert László, Szántó Ferenc, Szigeti Dániel, Mike Taplin, "Mr. Cyber", and others.